With the rich faux leather upholstery and a plush comfortable design, the “San Lucas-Harness” upholstery collection is the exceptional choice to enhance your living room decor. The stylishly shaped arms feature a thick pillow top that perfectly matches the supportive seating cushions and plush tufted pillow back design to create the ultimate in relaxing comfort. 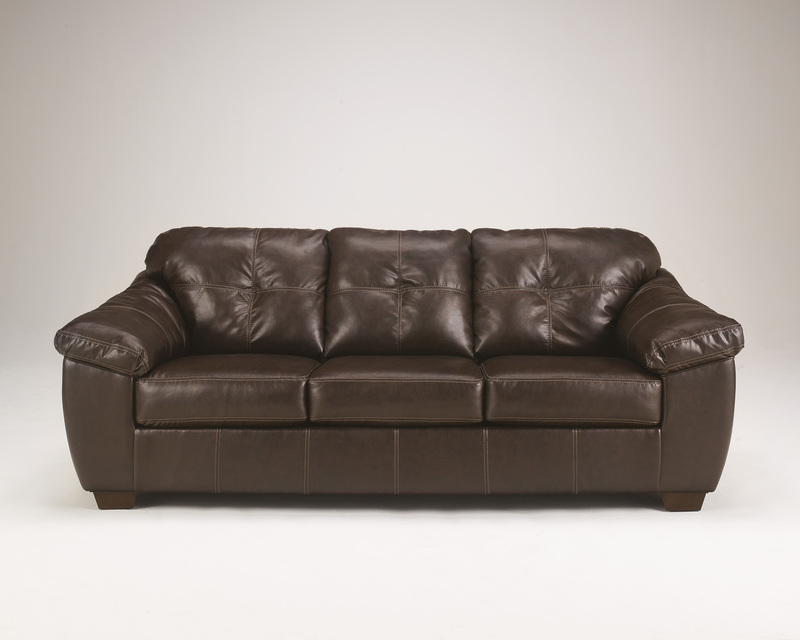 With the smooth faux leather upholstery and rich finish tapered block feet, this upholstery collection adds a sophisticated style that warms up any living area with an inviting atmosphere. Create the living room you have been dreaming about with the style and comfort of the “San Lucas-Harness” upholstery collection.